[SG] Triple O's | Canadian burgers with "plenty of everything"
It was only months after returning to work in Singapore did I realise that Triple O's actually have a presence here. One of my favourite fast food chains while working in Hong Kong, this Canadian brand deserves much more recognition than it does at present. It all started in 1924 when founder Nat Bailey transformed his truck into a travelling lunch counter in Vancouver, Canada. It is very much like our travelling food truck today though this started some nine decades ago! With a passion for baseball, Nat began selling hotdogs as a youngster on the rickety grandstands of old Athletic Park in Vancouver. Customers would shout out to Nat to bring the burgers to them and Nat hired three 'hustlers' who would dress provocatively to take orders from customers in their parked cars. For the simple fact that the ladies hopped to the cars, they became known as Carhops! More importantly, this inspired him to start the first fast food restaurant in Canada that offers drive-in services. It has been coined the 'Carhop Story'. The name Triple O's originated from the shorthand language of the carhops who took the orders. 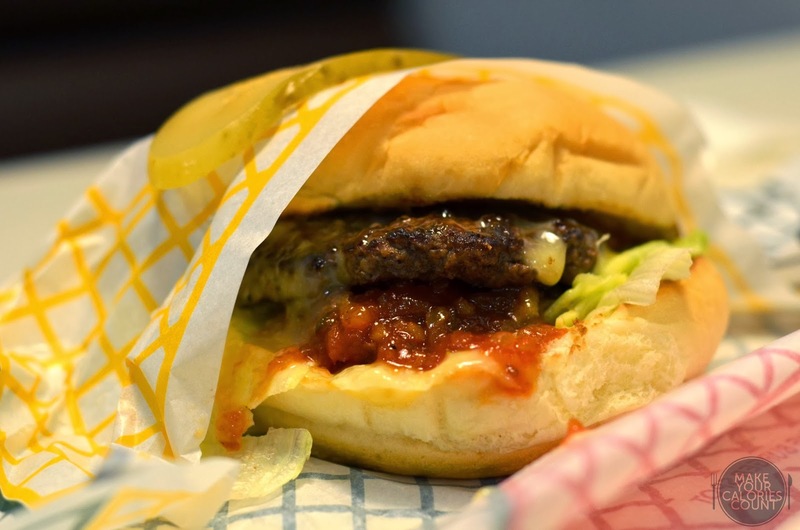 Customers could choose specially made mayonnaise and relish for their burgers. On the order pads, 'X' meant 'hold' while 'O' meant extra and Triple O simply meant 'plenty of everything'. It was then, a legend was born. 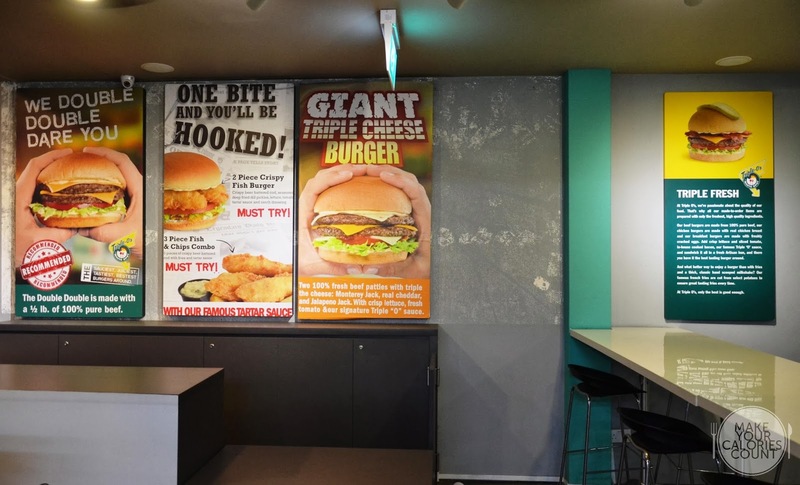 All burgers at Triple O's are made-to-order, so that every customer is guaranteed quality and fresh food. The signature classic burger comes with a dill pickle atop, separated by the wrapper. 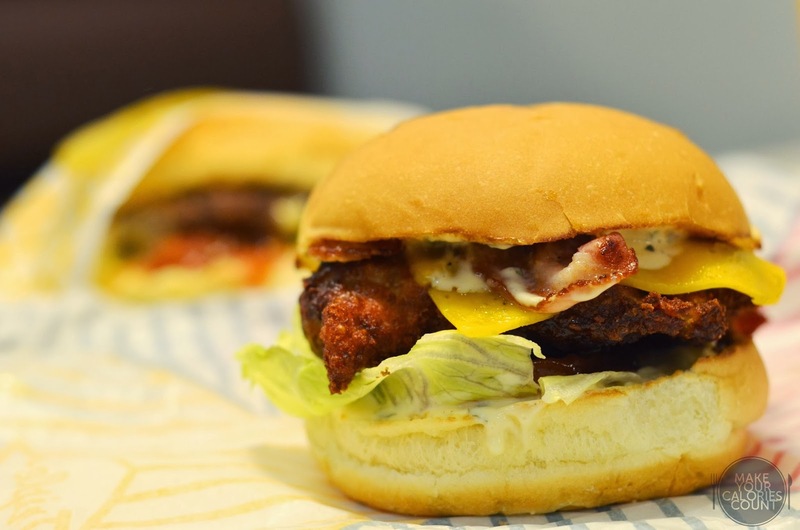 The artisan-styled buns are made using Nat's original recipe and the key that draws customers coming back was the Triple 'O' Sauce which was so good that they named the restaurant after it! It was almost like mayonnaise but blended with various other elements to give it that ultimate kick of richness and savouriness that would almost certainly please everyone's palate. The Hickory smoked bacon delivered the savouriness which was paired with four ounces of fresh beef patty! This is not your usual processed beef patty usually found at fast food chains but rather fresh minced beef is used. There was your usual fresh crisp lettuce and vine-ripened tomato beautifully topped by a slice of melting cheddar cheese. Of course, we are talking about sinful calories-laden food here but heck, there are cheat days even for the health-conscious! Thoughtfully set aside, the wedge of lemon slice was separated allowing customers to squeeze in as much tang to their burgers as desired. The crispy beer battered cod was seasoned and deep-fried to give a nice golden brown coating to that tender and soft fish fillet. It was fresh and the softness of the cod fish was nicely complemented by the layer of batter and crust on the outside. 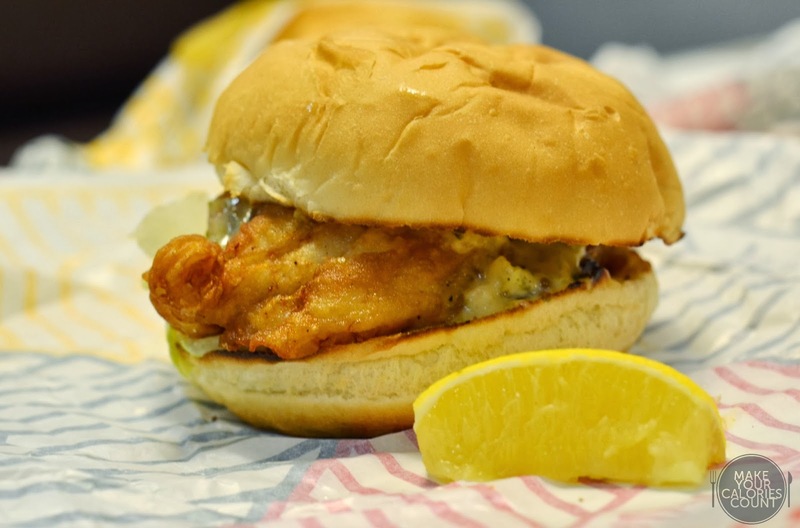 What made this irresistible was that to-die-for homemade tartar sauce and ranch dressing which would have you coming back for a second bite almost right away! I would usually share my burger around but not on this occasion. The large deep-fried chicken breast was drizzled in hot sauce and topped with Hickory smoked bacon and a cool ranch dressing, not forgetting the cheddar cheese and greens of course. The chicken breast was tender and moist and the coating batter had that desired golden brown crust. The freshly toasted soft buns complemented the sinful indulgence with the light fluffiness and it was so good that I was deciding if I should have an encore! I was expecting this to shine like the ones I had in Hong Kong but the fries were quite a disappointment. It was not freshly deep-fried so both the usual french fries and sweet potato fries were a little on the soft, soggy side. 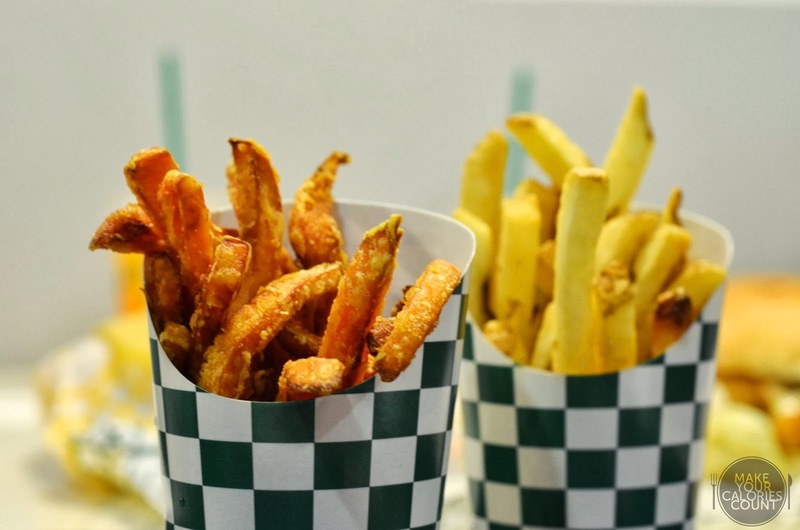 The sweet potato fries would be a worthy try as one would expect to taste the natural sweetness of the sweet potato and you know you are not eating processed food when you are able to spot unpeeled skin of the potatoes and sweet potatoes on the fries! It is also worth mentioning that their signature chipotle mayo is a must-try dip! It is not common for me to award a must-try label for any restaurant, bistro or eatery for that matter but this burger chain has never failed me. Well, technically speaking, the fries were a large disappointment on this visit but the burgers were more than enough to make up for it. 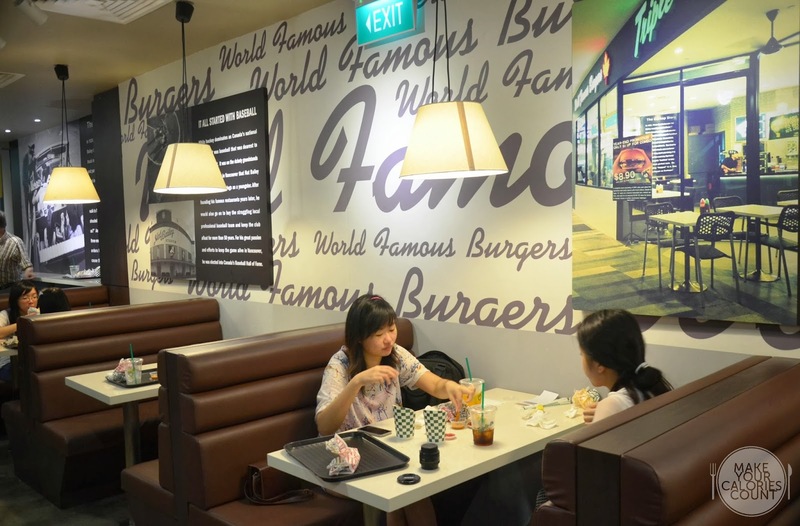 In terms of ambience, expect some casual fast-food dining sort of setting and everything would be self-service. You will be issued one of those UFO saucers which would buzz when your order is ready and you would need to head over to the counter to self-collect. As all burgers are made-to-order, do expect a five minute or so wait. The staff which took our orders was patient while we decided on our choice of burgers and was friendly in his demeanour. 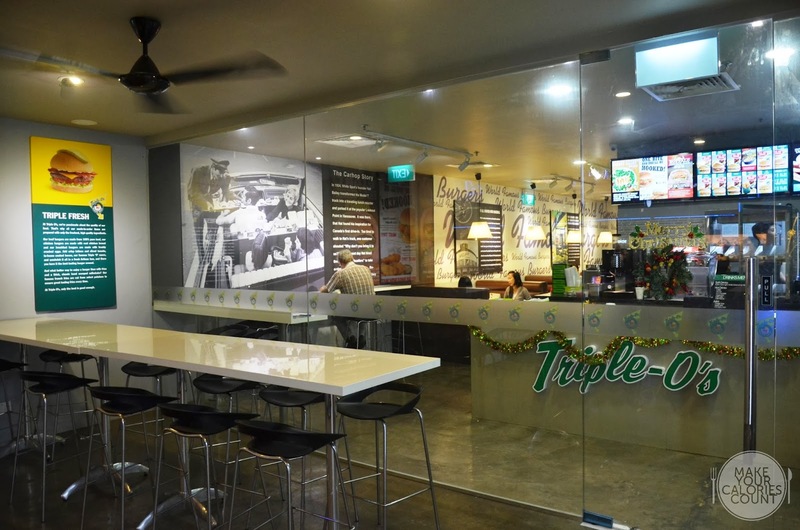 Now that I learnt that Triple O's exist in Singapore, they have won themselves a regular customer.